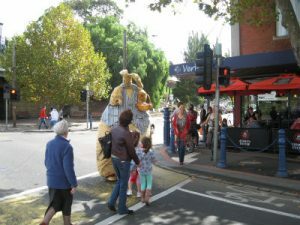 Our oversized Easter Bunny, Jive, suprised and delighted people on Saturday April 16 when he bunny-hopped his way across Racecourse Road. 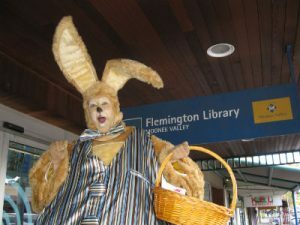 The wonderful sights, smells and activities of the various Flemmington Traders got his whiskers twitching! 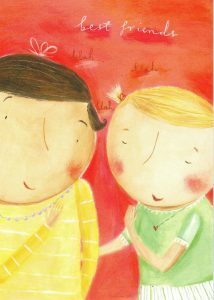 One little girl doubled back to give Jive this lovely card. There were Easter eggs for everybody!